Every little girl celebrating her First Holy Communion will tell you she loves her special Communion gown, veil and headpiece! Of course, the ceremony is very important, but so is playing dress up – especially when it involves beautiful accessories. Though bridal accessories are our specialty at Bridal Styles Boutique, we also have an array of sweet veils and headpieces perfect for First Communion! From crystal tiaras to delicate flowers and pearls, your adorable little lady in question will find just what she’s looking for. 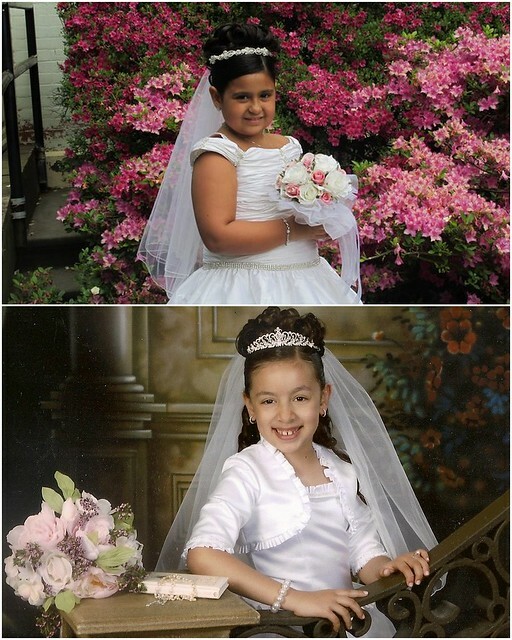 To see our large collection of First Communion crowns, hair jewelry and custom made veils, visit us at Bridal Styles Boutique! This entry was posted on Tuesday, January 31st, 2012 at 9:41 am	and is filed under Announcements. You can follow any responses to this entry through the RSS 2.0 feed. You can skip to the end and leave a response. Pinging is currently not allowed.